Happy 9/11 Day, readers of the Daily Magi and Magi Football Blog. 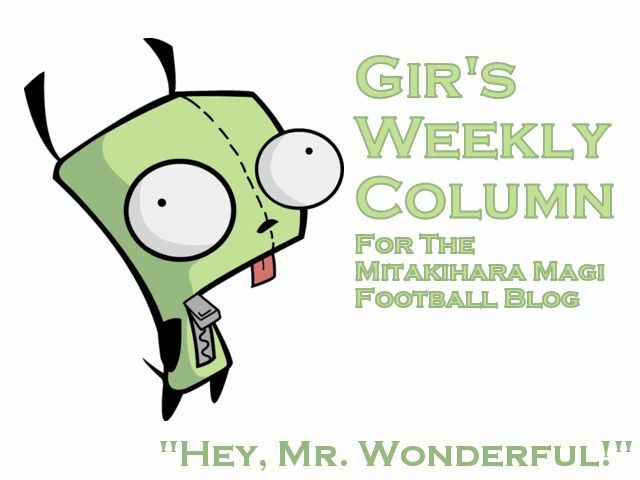 I am Gir Todafunk with another weekly column. We were flying against Notre Dame. Shutout city. The offense was doing work, me and my Cornerbacks Crew were doing work...it was as one-sided a performance as you will see from us. So far, so good. Man, I'm disappointed. I had a light day last week. Not a lot of work needed on my park. In fact, I didn't even show up on the stat sheet. Maybe that's gonna change when we face the New Mexico Lobos because I can't stand being out of the picture. So, I decided to dedicate this column to tracking down my top 10 places to eat New Mexican food in Albuquerque. Green chile sauce, albondigas, sopapillas and delectables all around. Here we go. Where else can you find the best New Mexican food that near the University of New Mexico? Yes, this is the place to start. Adobada burritos, cinnamon buns, green chile chicken enchiladas...If the Lobos are on the schedule next year on the road, we plan to hit this place up pregame. Tamales! Tamales! Tamales! There is nothing but awesome tamales at El Modelo, to go with sopapillas, chiles rellenos and combo platters. A bit greasy, but New Mexico is full of greasy spoons to begin with. Known for their in-house salsa and nachos, Sadie's on Fourth has what you need for lunch and dinner. Try the beef brisket and chicken tacos. The staff has turned things around in terms of service, that's why they are on this list. Home of some of the finest pastrami in town, Sophia's Place featured their chipotle chile bacon cheeseburger to go with some well-made chicken and top sirloin. They are open for breakfast, lunch and dinner and is a hit with tourists. Located in the surburb of Bernalillo, Range Cafe features some of the most well-thought out names for entrees and desserts such as Tom’s Meatloaf, Matt’s Hoosier Tenderloin Plate, Life by Chocolate and Death by Lemon. Have fun picking your poison there, hipster foodies. Why is it that the University of New Mexico has some of the best places to savor New Mexican cuisine? I can't believe it. It just makes a whole lot of sense. The vegetarian and green chile chicken enchiladas are the ticket, as well as the tacos. They aren't open on Sundays, unfortunately, but they are open every other day. Mary and Tito's are old school. They rely on tradition, and their fare sends you into a time warp. Their signature dish: the carne adobada turnover with red chile, onions and sour cream. ¡Sabor! Yes, there is plenty of Chile to go around out here. Enchiladas, green chile cheeseburgers, huevos rancheros...not as good as some of the other restaurants on this list, mind. The pinon-crusted rainbow trout is El Bruno's signature dish, as well as the flan con pinon. This place, El Bruno's, showcases the endless possibilities of using pine nuts as a garnish. The beef enchiladas are not too shabby. The chicarrones burrito is what distinguishes Barelas from all the other places on this list. Crispy, crunchy and chewy. This is where you should get breakfast, if you happen to be traveling in Albuquerque. There you have it, my top 10 places to eat New Mexican food in Albuquerque. In my next column, more of the gluttony as I look at the top 10 places to eat barbecue in Greenville, North Carolina. Till then, I am Gir Todafunk, signing off. You are not alone.